On the evening of the 5th of December, children (and some adults!) in Germany put their shoe or boot out at night (their Nikolausstiefel). When they wake up the next morning their shoe or boot is filled with treats – usually chocolate, fruits and nuts, and sometimes small toys. … But what is the story behind this? 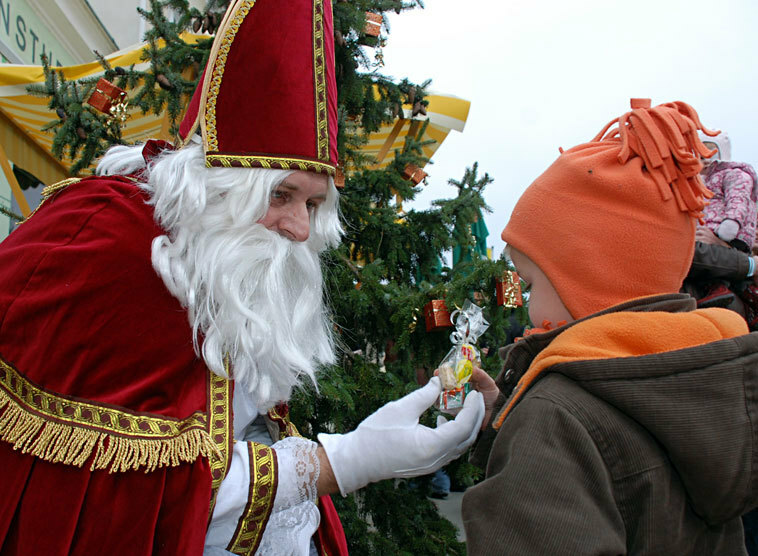 The 6th of December is a day where Saint Nikolaus is celebrated. 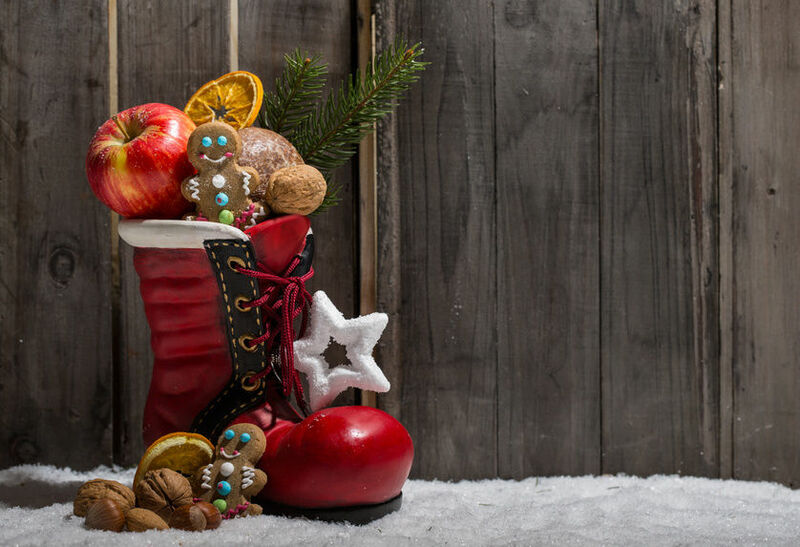 St. Nikolaus is the one who fills the children’s boots with gifts and sweets overnight, although if the children have been naughty, rather than nice, they may find a Rute (a stick) in their boot. Saint Nikolaus, born Nikolaus of Myra, lived in Turkey around the year 270 to sometime in the mid-300s. There are few documented facts about his life, and most of the stories about it are legends that have been passed on from generation to generation. In general, these legends all told of one thing: tales of how Saint Nikolaus gave the poor his wealth. One story says that Nikolaus’ parents died when he was very young, and he inherited gold, silver, precious gems, palaces and big properties, as well as many animals, such as sheep, horses and donkeys. However, he wasn’t happy. One day he left the palace and walked down the street where he saw a beggar, Nikolaus went to reach into his pocket to give him something, but realised that his rich clothing didn’t have any pockets. So Nikolaus took off his biggest gold chain and ring and gave it to the beggar. He returned back to the palace later that day feeling happy for the first time in a long time and immediately requested that all of his clothes be fitted with large pockets. The next day he filled up his large pockets with nuts, apples and mandarins and walked through the streets to distribute these to the poor. Again, he returned home joyful. So he continued doing this for many days. A few years later when he was a teenager he decided to leave the palace behind and ride throughout the whole country and give his wealth to the poor. He eventually returned to Myra after giving away most of his wealth, but every year on his birthday, the 6th of December, he would ride through the street and give mandarins, apples, nuts and cake to the poor.